belongnyc — nicole jane debler. belong.nyc is an app and campaign to promote safety during emergencies in the city. It is a concept that goes beyond informing people about natural disasters, it informs about climate change and weather on a daily basis and it connects people through difficult time. It has a sense of belonging to a place since the different zones are associated with different colors and it creates a playful and friendly atmosphere. The app focuses in creating a profile for the user and adapting to their location and safety. Color coded by zone, each user is able to see weather forecasts daily and also some informational facts that they can do to better their lifestyle. 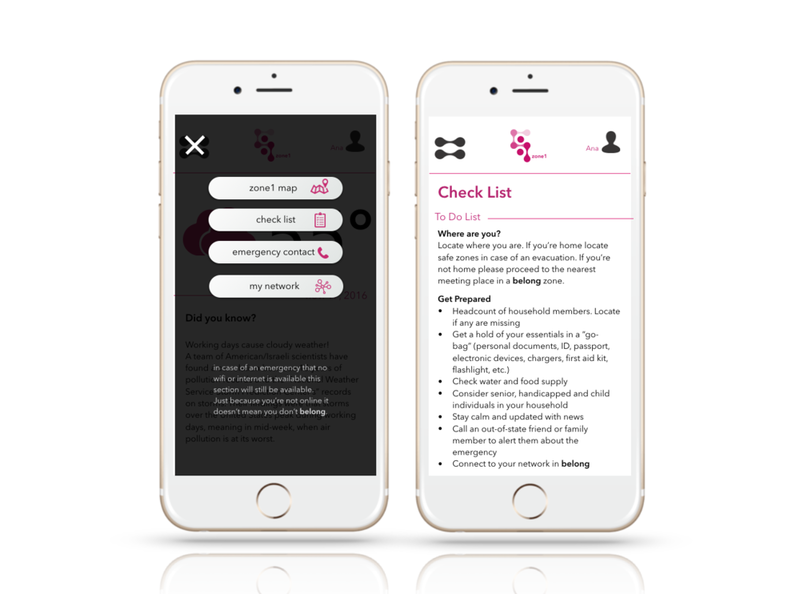 Users also have access to a city map, checklist, emergency contacts and most importantly a safety network that tracks other users. 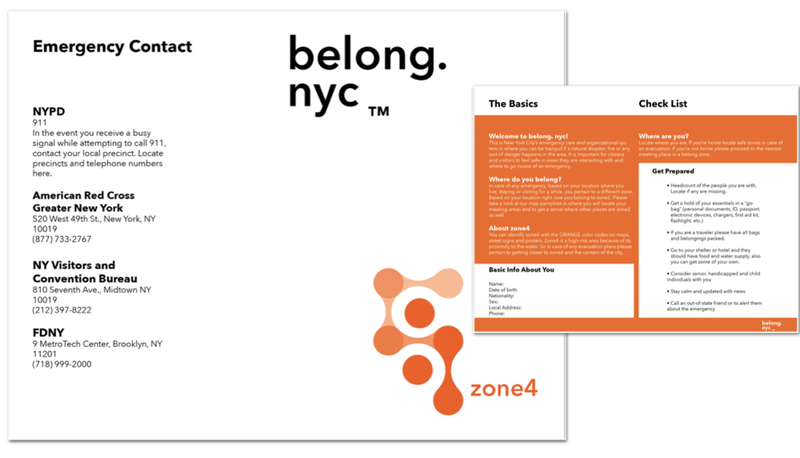 The belong.nyc network serves as a way for people to share their status and information in case of an emergency. 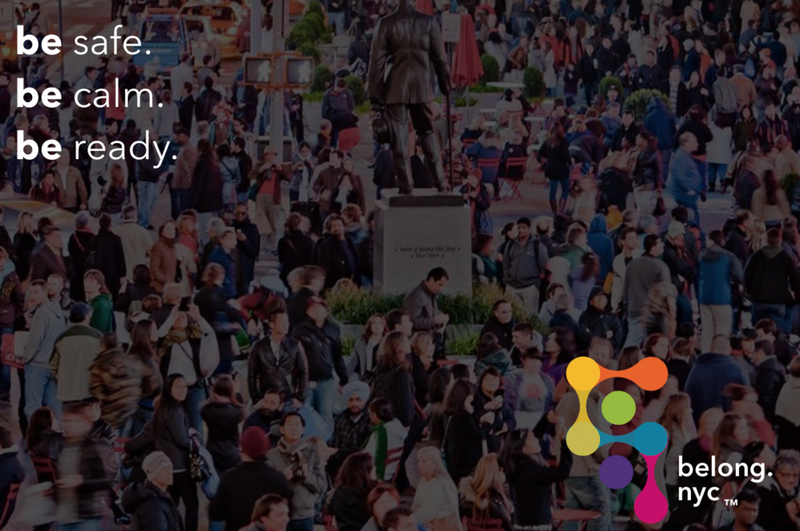 Apart from the app, belong.nyc seeks to always be present around the city. This serves to remind New York and its visitors that no matter the emergency there is always help and guidance. 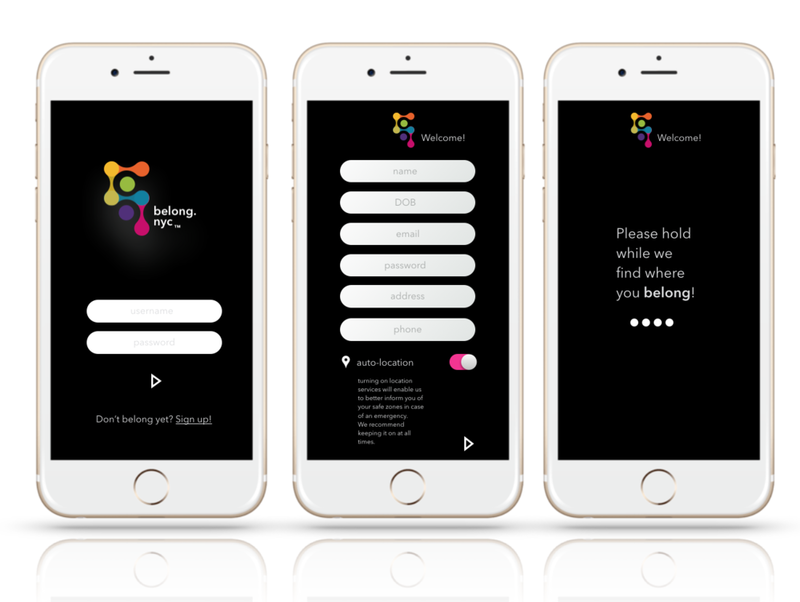 belong.nyc seeks to be more than an app, its seeks to be a universal language that everyone is used to and feels safe about.